Tags: costume, satin, special occasion, wedding. From Pago Fabrics. 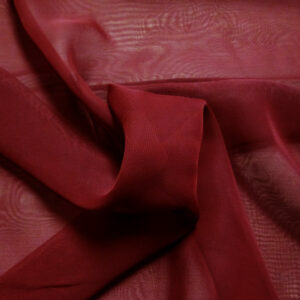 100% polyester, beautiful dull Lamour Satin also known as peau de soie. 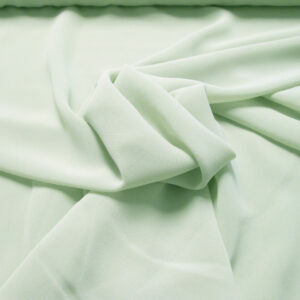 This polyester delustered satin is medium weight, drape-able fabric with a satin weave and delustered finish. This is a traditional fabric for wedding dresses that is also used for bridesmaids gowns, mothers-of-the-bride dresses and elegant cocktail suits as well as costumes for dance, theater, etc. The dull luster is more flattering to most body shapes and sizes than high luster satins. 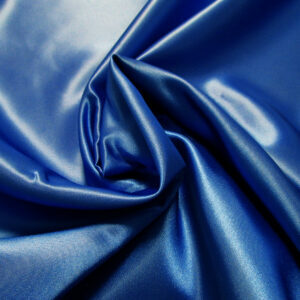 Polyester delustered satin is more forgiving than silk satins. 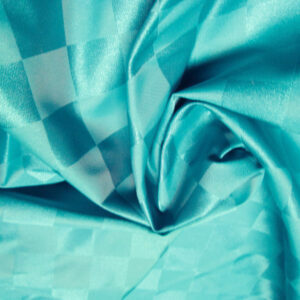 It doesn’t water spot as easily, and seamstress often finds it easier to sew. Note how the sample drapes in soft sumptuous folds. 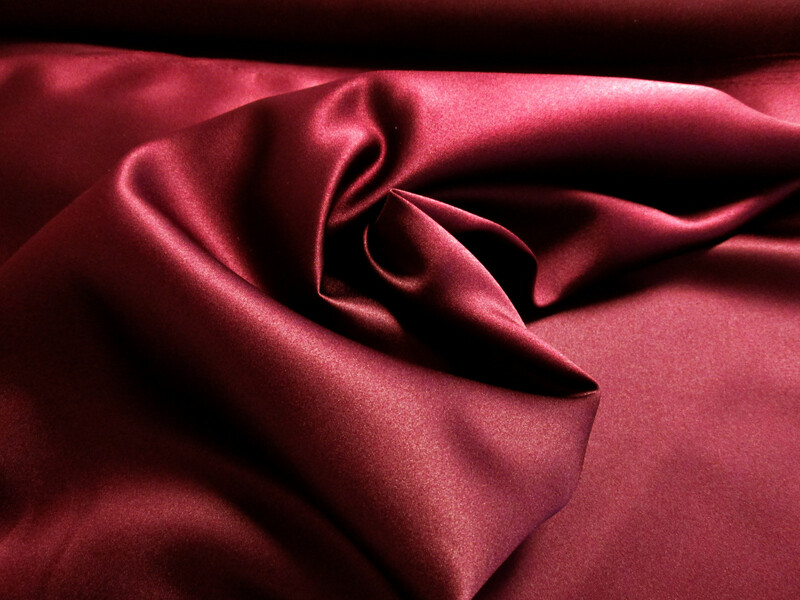 In French, peau de soie means skin of silk.